If you have never picked apples before and are apprehensive about picking your own, you should feel comfortable knowing that you-pick orchards are easy and highly accessible. To pick an apple, cup the apple firmly in your hand, lift it slightly, and twist gently. The apple should come off with the stem intact. By picking your own apples, you can choose the exact colors, weights, shapes, and sizes you are looking for so that you can collect the perfect peck (about 8 dry quarts). At Fort Salonga Farm, apple trees are grafted onto size-controlling rootstocks so that the apple trees begin to fruit just 18 inches off of the ground, which is perfect for kids to reach and pick their own apples. In September, the Sweet Sixteen, MacIntosh, and Gala apples will be ripened and ready to pick, and are typically about $1.69 per pound. This is a small orchard, so be sure to call ahead of time to be sure there is ripe fruit to pick. Hank’s Pumpkintown’s orchard will be open on weekends for apple picking, and you’ll be able to pick from Ultimate Gala, MacIntosh, Honeycrisp, Daybreak Fuji, Cortland, Macoun, Empire, and Snow Sweet apples. The cost is $22 for a one peck bag (about 10 lbs), limit 4 people per bag. No strollers or wagons allowed in the apple orchard. Wickham’s offers a variety of apples, and is open every day except for Sundays for apple picking. Be sure to try some of their apple cider, pressed on the oldest cider press on Long Island! Windy Acres has 30 varieties of apples, including MacIntosh, Golden Delicious, Mutsu, and Granny Smith. Call ahead for availability. Apples are grown on dwarf apple trees, and cost $18 per peck bag (about 10 lbs). Pick your Red Delicious, Roma, Jonagold, Gala, MacIntosh, Ginger Gold, Cameo, Granny Smith, Snowsweet, Empire, Fuji, Cortland, Golden Delicious, Redfree, and Macoun all at this orchard, which also offers a huge assortment of you-pick vegetables! This family-run farm offers 30 different varieties of apples on semi-dwarf trees, and also sell apple cider, pies, and more baked goods. Apples are $15 per peck. Lewin Farms is the first pick your own orchard to ever open on Long Island, and its orchard is located on Fresh Pond Avenue. This family owned farm has been farming for 12 generations, and has an orchard with dwarf trees and over 20 different kinds of apples. In addition to peaches, this farm also has an apple orchard for apple picking. 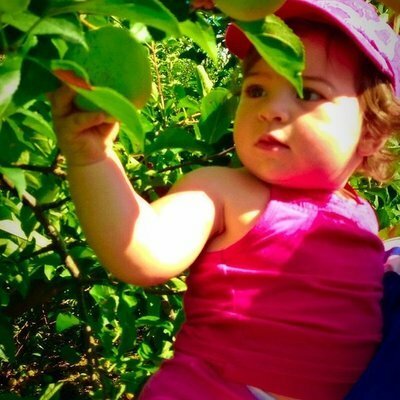 Subject: LongIsland.com - Your Name sent you Article details of "Pick the Perfect Peck of Apples at Long Island’s U-Pick Orchards"